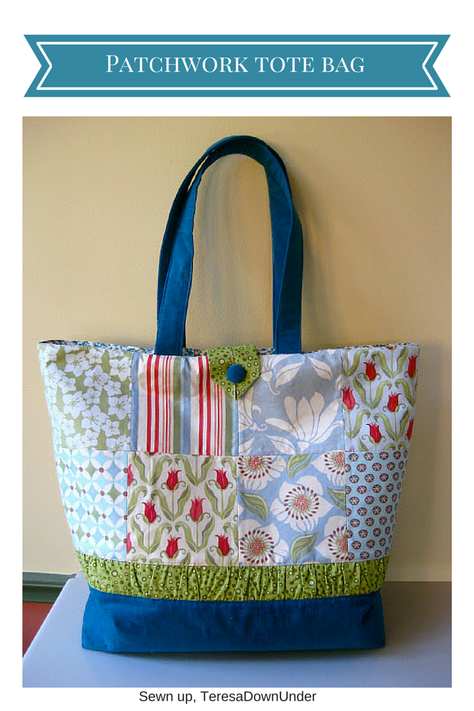 Tote bags are a wonderful way to try patchwork in a short amount of time. No matter how many bags we own, we don’t get enough of them as we love to have new fashions naturally. A low-cost option obviously is making them our selves. This is a nice patchwork tote bag you can try making within about a half an hour. THIS is the tutorial on how to make this Charm Pack Tote Bag. Have some leftover fabric scraps from bigger sewing projects? Then this list would be a nice choice to use up all those fabric. Zipper bags or zipper pouches are used to keep our little goodies while we go outside. They are not hard to make and take just a little time sewing. 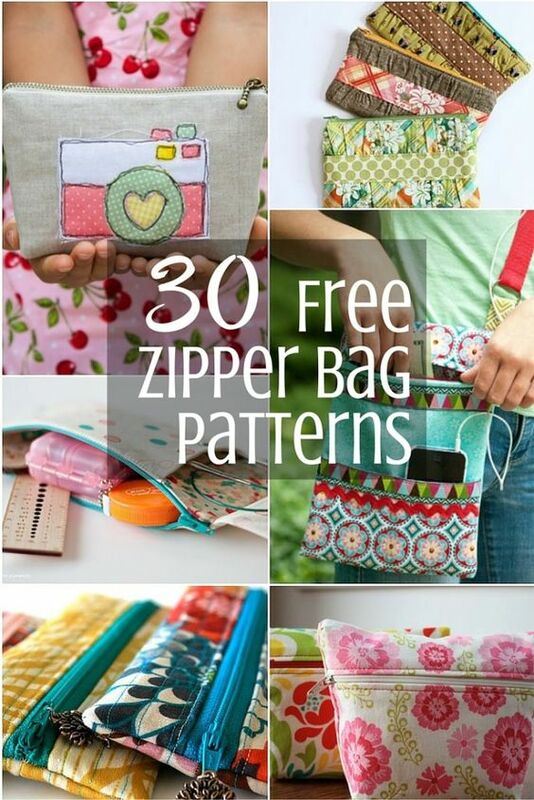 HERE is the list of 30 Free Zipper Bag Patterns. Enjoy! 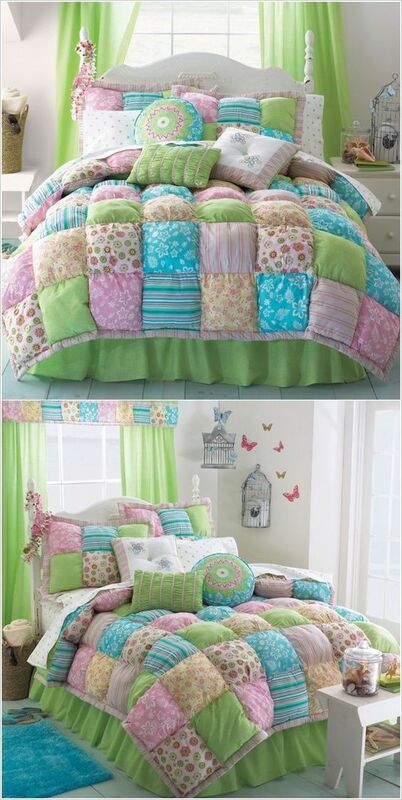 Puff Quilt comforter is a no-brainer project that takes little time and effort. However, it gives your project a puffy look that everyone loves. You can be more adventures by mixing colors and the pattern so that you can be more creative. The basic tutorial on how to make the puff quilt is shared in this Youtube video. You can find the video tutorial below. Enjoy! These fun to make triangle pouches uses only 4 strips of fabric and are suitable as a great little gift for small occasions like birthday parties. 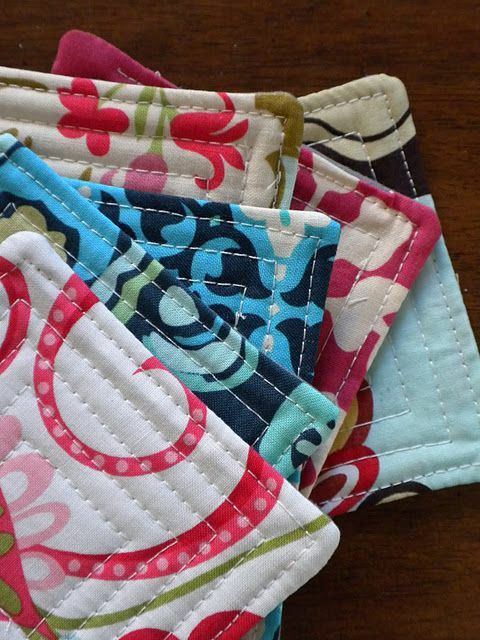 They are suitable as coin purses, make up supply holder or sewing supply holders behind your sewing machine. It will take around 10 minutes to make one of these and making one is super easy. For the tutorial read this PAGE. Be sure to check our other tutorials as well….. Enjoy! Sewing small pieces together can go beyond just stitching up together. It can give your project a great look if you sew them through a pattern. Just scraps are enough to make a nice pattern with patchwork. Below images proves that. From Lauri’s Blog. This is a non traditional type post as this is not a free pattern. You have to pay to get this quilt pattern. No, I am not an affiliate on this website. I decided to share this pattern with you as it is worth mentioning here. Pleasant Valley Creations have some quilt patterns which are totally worth paying for as they are so great looking and look advanced. I am just sharing one cool quilt design here and don’t be surprised if you easily distracted with other stunning designs there. 🙂 Have fun. No matter you had a great pattern to quilt, sew or for any fabric DIY project, if you used a material which doesn’t suit with the pattern it all mess up. You have to choose the right fabric pattern for each and every project you do for the best results. If you are struggling with what fabric pattern to choose with your next project HERE is a tutorial on how to mix fabric patterns like a pro.